This picture gives a small glimpse of Rosy’s heart! She has no favorites, she loves everybody, including her stuffed animals all the same! 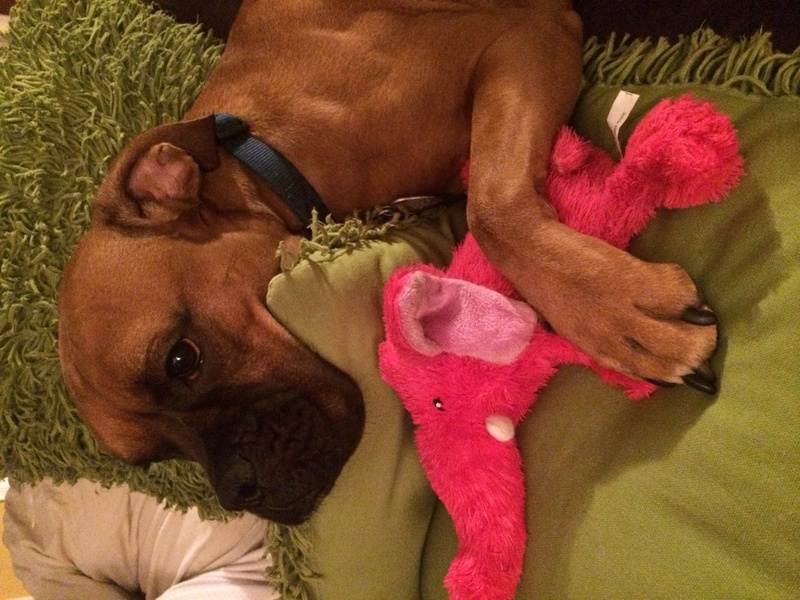 On this day she went to her “toy store” and paw picked her new Elephant, immediately she was attached!